Passion for style and attention to details. With these two features can be summed up the magic of the creations of "Laboratorio Capri". Thanks to the synergy between the experience in fashion of Michele and the tailoring mastery of his parents ( known since 1950 at the international jet set as "Sartoria Gigino " ) limited and unique dresses, shirts, pants and accessories, are created hand-made. Ethnic touches and whimsical, vibrant colors and unique prints and bright. Fine fabrics that caress the skin and the perfection of traditional tailoring all Made in Capri.The timeless "Capri Style" in a modern way. Laboratorio Capri is where quality and creativity are imperative. 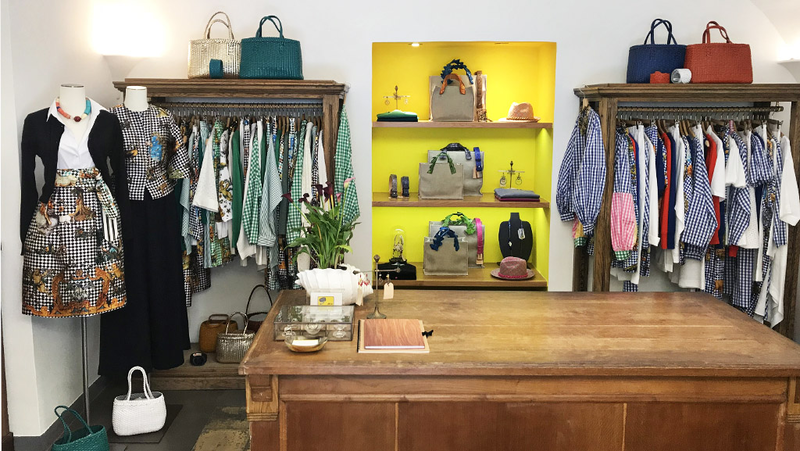 The ingenious creations of Michele, together with the historical tailoring skills of his parents make this boutique -tailoring become a major attraction for those who like to wear clothes not found elsewhere and especially of exceptional quality .